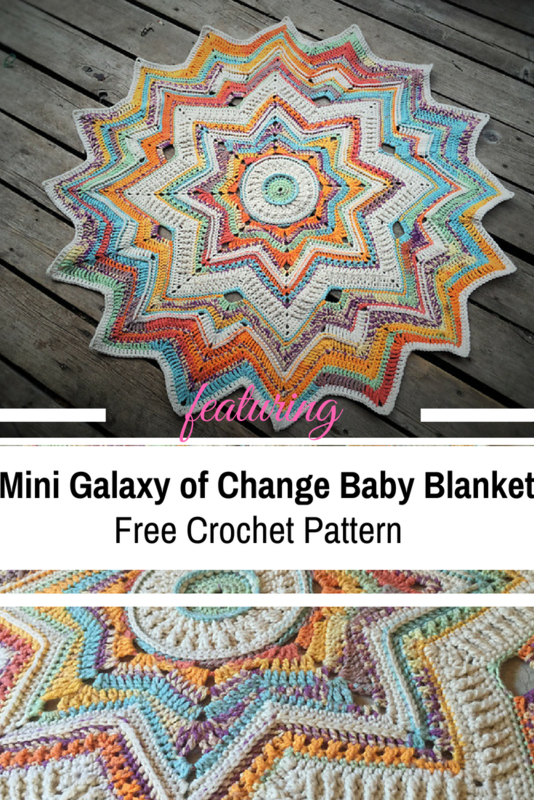 Homepage » Crochet For Baby & Children » Baby Blankets » This Awesome Mini Galaxy Of Change Baby Blanket Free Crochet Pattern Is Simply Stunning! This star shaped blanket is so beautiful! 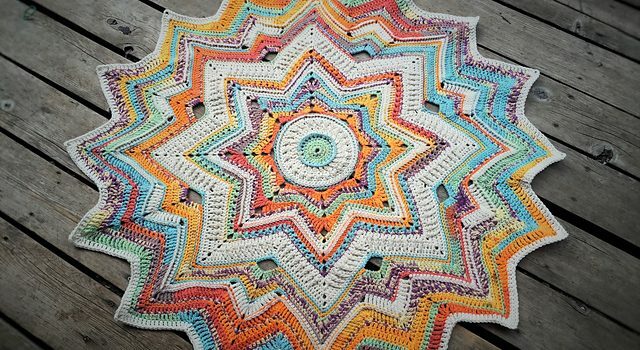 Mini Galaxy of Change baby blanket free crochet pattern designed by the talented Frank O’Randle uses an abundant variety of stitches to create an absolute stunning piece! The color changes are subtle and delicate and the pattern’s design allows to be used to create beautiful baby blankets for both girls and boys. Quick to work and with a very interesting design, this pattern is sure to bring lots of joy to those who decide to try it. Check out the original source for this Mini Galaxy of Change Baby Blanket Free Crochet Pattern with all the directions and full written pattern at: Frank O’Randle. Thanks to Frank O’Randle for the article inspiration and featured image. 2 Comments to This Awesome Mini Galaxy Of Change Baby Blanket Free Crochet Pattern Is Simply Stunning! Does anybody know what yarn that they used? Honestly in love with this blanket and the colors are just awesome. Pleas if you know reply to me? If anyone by chance has a skein or two they aren’t going to use, I would be totally interested in buying or trading for. this is Magic Aran – shade 1306” So it appears that the yarn has been discontinued. I’ll include the projects likn which shows many other color combos. None, however as attractive as this one.